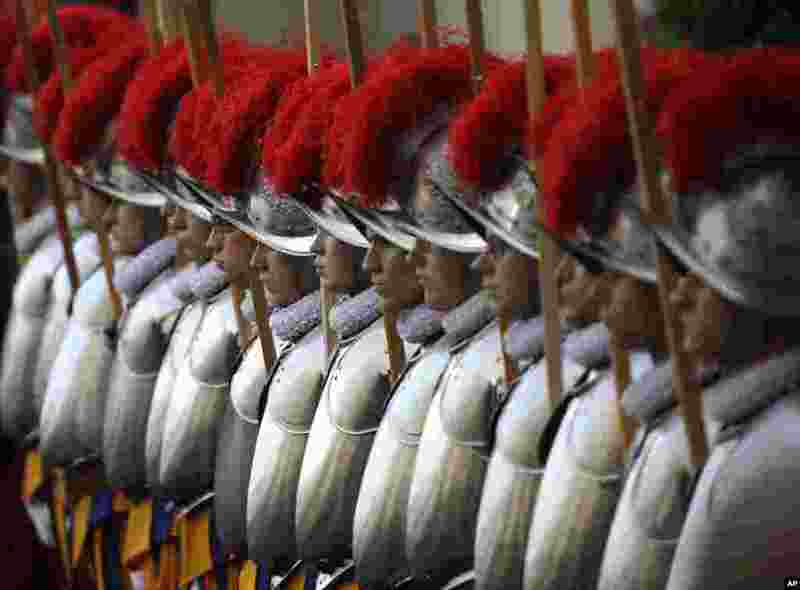 1 Swiss Guard recruits stands at attention during the swearing-in ceremony at the Vatican. 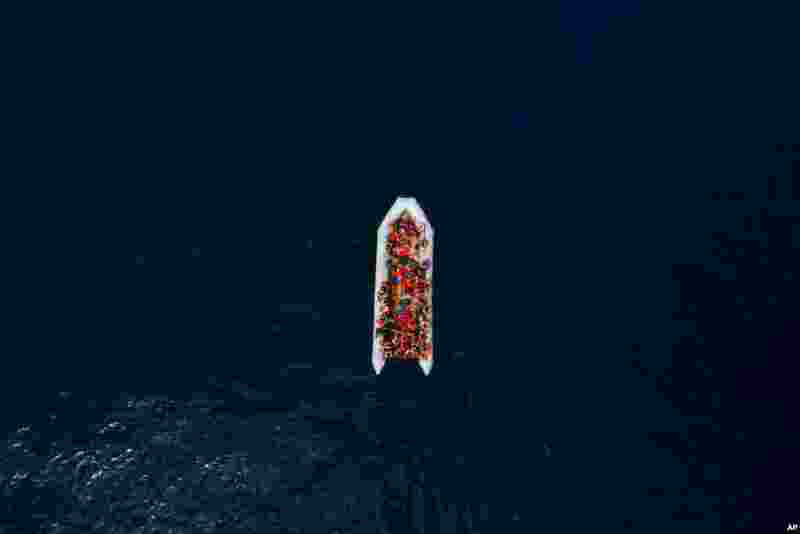 2 Refugees and migrants wait to be rescued by members of the Spanish NGO Proactiva Open Arms, after leaving Libya trying to reach European soil aboard an overcrowded rubber boat, north of Libyan coast. 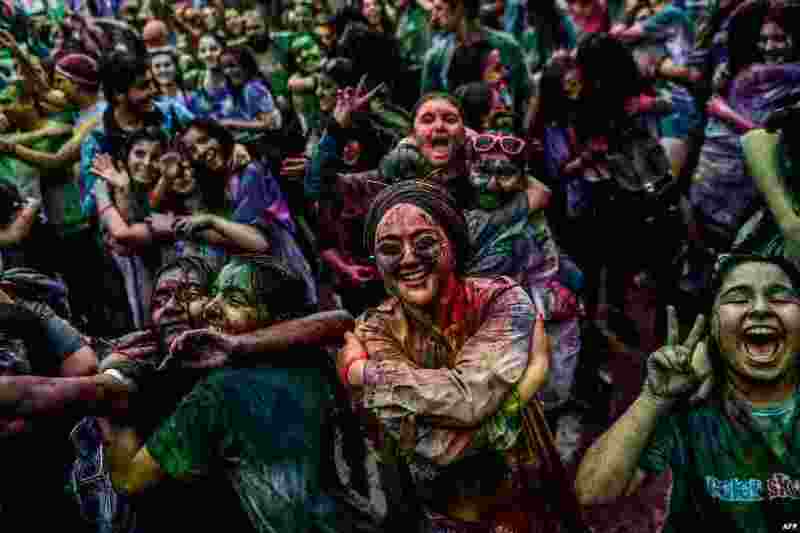 3 People take part in the Color Sky Festival at Kadikoy district in Istanbul, Turkey. 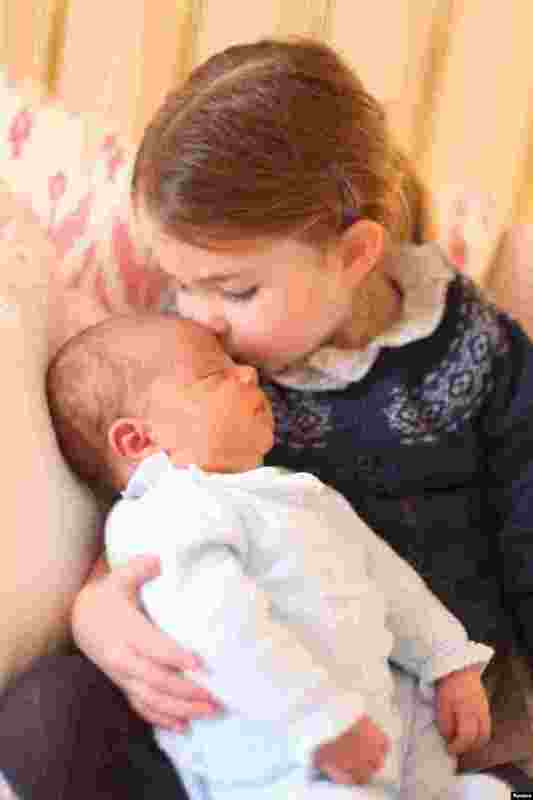 4 Britain's Princess Charlotte and her brother Prince Louis are seen in this photograph released by Kensington Palace, and taken by Britain's Catherine, Duchess of Cambridge, on Princess Charlotte's third birthday, at Kensington Palace in London.